Our specialized program for Gym Mini Crickets consists of 5 levels that have requirements on 5 different apparatus: vault, bars, beam, floor, and trampoline. This program focuses on skill development with an emphasis on improving motor skills and coordination for our younger athletes. At the conclusion of each session, Gym Mini Cricket athletes receive a report card outlining their accomplishments during the session. Report cards show the level that the athlete was working towards completing, as well as individual skills that have been mastered or are still being learned. Our Gym Mini Cricket program receives level stickers following completion of levels, along with a certificate that athletes can personalize to display these accomplishments. Our Girls Recreation program promotes skill development on apparatus that are specific to women’s artistic gymnastics: vault, bars, beam, floor, and trampoline. This program is progressive, allowing every gymnast, from beginner to advanced, the opportunity to learn new skills and increase their gymnastics knowledge. 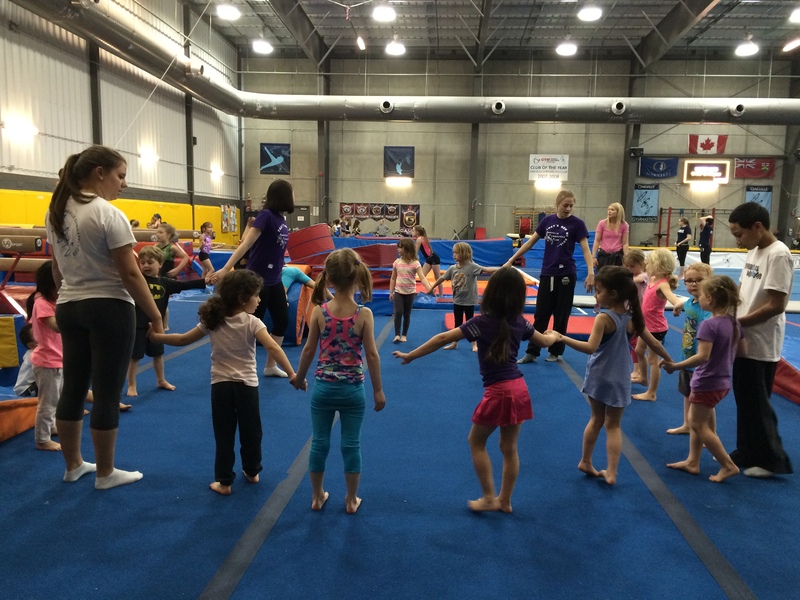 The Girls Recreation program combines elements of flexibility, strength, and balance to master skills specific to women’s artistic gymnastics. At the conclusion of each session, Girls Recreation athletes receive a report card outlining their accomplishments during the session. Report cards show the level that the athlete was working towards completing and skills that she has mastered or is still learning. Girls Recreation athletes receive ribbons following completion of levels. 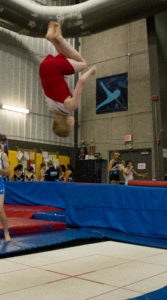 Our Boys Recreation program promotes skill development on apparatus that are specific to men’s artistic gymnastics: vault, bars, rings, parallel bars, pommel horse, floor, and trampoline. This program is progressive, allowing every gymnast, from beginner to advanced, the opportunity to learn new skills and increase their gymnastics knowledge. The Boys Recreation program combines elements of strength and endurance to master skills specific to men’s artistic gymnastics. At the conclusion of each session, Boys Recreation athletes receive a report card outlining their accomplishments during the session. Report cards show the level that the athlete was working towards completing and skills that he has mastered or is still learning. Boys Recreation athletes receive ribbons following completion of levels. 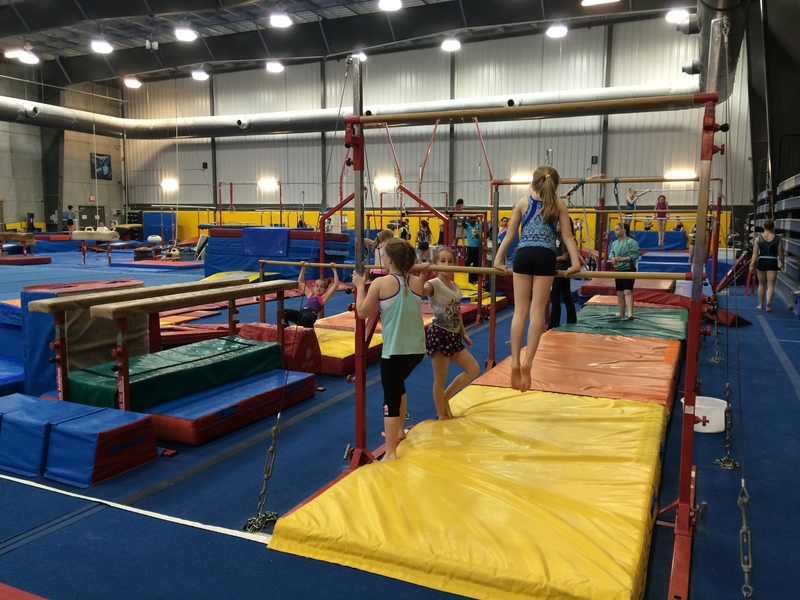 Our Trampoline & Tumbling program consists of 20 levels with an emphasis on trampoline performance. This program focuses on skill development and progression, while allowing athletes to have individualized input on their tumbling skills within this structured environment. At the conclusion of each session, T&T athletes receive a certificate outlining their completed level along with their most amazing skill achieved during the session. 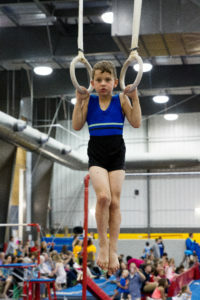 These athletes also receive level badges following completion of levels, along with a separate certificate that athletes can personalize to display these accomplishments.